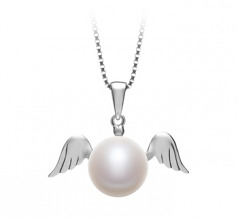 Silver angel wings gently carry this flawless AA grade, white freshwater pearl. The Angel pendant appears to glide on air, bringing a message of love, protection, harmony and compassion. Gracing a 9-10mm button shaped pearl, the shining silver wings with their perfect symmetry gives the look of an angel taking flight. 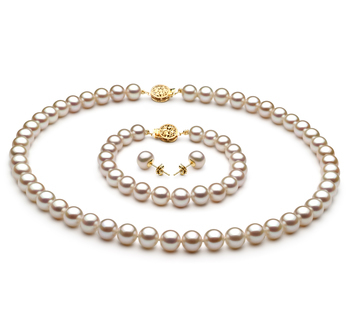 Small and understated, this is a gift of love that brings the wearer a feeling of having a protective guardian there always to watch over and guide them. 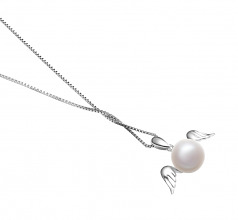 You can easily add the small 0.9-inches by 0.3-inches Angel pendant to any delicate style chain, long or short. 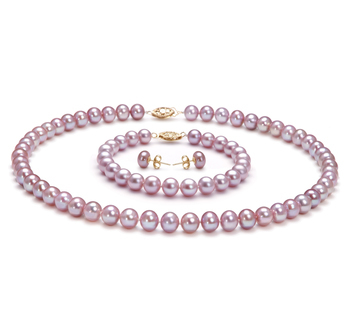 The perfect gift for a mother, wife, sister, daughter, or best friend, Angel pleases everyone one who receives it. 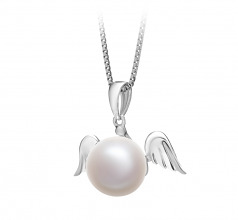 Show your love with the Heavenly gift of the Angel pendant. Show only for "Angel Pendant"